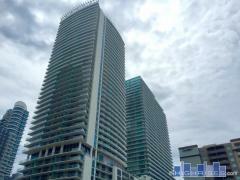 Grove Towers Condos of Coconut Grove | 2843 S Bayshore Dr. The Grove Tower of Coconut Grove is a 17-story tower built in 1982. There are 99 total units in the building ranging from 1,460 to 3,364 square feet. A tennis court, exercise gym, and basketball court are all available on-site for keeping active. Other building amenities for the Grove Tower Condos include a 24 hour security, relaxing pool and spa and valet parking. Another benefit of the Grove Tower condos is its close proximity to local beaches. Have any comments or questions about Grove Towers? Ask your question and/or share your thoughts about this Building.